Less than a month after they took part in a U.N. summit, two U.S. companies tested the limits of social responsibility and were brought to task by fashion and makeup bloggers -- not the United Nations. About 7,000 businesses from more than 135 countries took part in a June U.N. Global Compact Leaders Summit in New York City. The Global Compact is the world’s largest corporate citizenship initiative. The Compact’s Women’s Empowerment Principles, launched this past International Women’s Day, offer guidance to companies on how to empower women in the workplace, marketplace, and community in accordance with international human rights principles. Global Compact signatories include major global corporations across a range of industries: Deloitte, PriceWaterhouseCoopers, Bank of America, Cisco, General Electric, Goldman Sachs, Pepsico, Microsoft, Monsanto, and Royal Dutch Shell, for example. The Global Compact’s Ten Principles in the areas of human rights, labor, the environment, and anti-corruption are derived from U.N. human rights documents. The first principle of the Global Compact is respecting and supporting human rights. The first principle notes that corporate responsibility to respect human rights exists independently of a state’s responsibility to do so and advises that a corporation’s “good works” in one area cannot excuse its infringement of human rights in another. The Compact’s Women’s Empowerment Principles name as priorities promoting equality through community initiatives and advocacy and establishing high-level corporate leadership around gender equality. 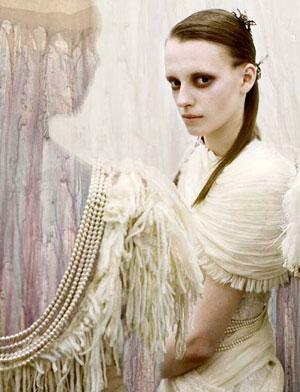 But it was the fashion and makeup blogosphere that took two companies, MAC Cosmetics and Rodarte, to task. ► MAC Cosmetics has historically shown profound awareness around social issues. The MAC AIDS Fund, established in 1994, has raised $139 million through the sale of its VIVA GLAM lipstick and lipgloss, from which 100% of sales are donated to fight HIV/AIDS. ► Fashion house Rodarte, founded by California-born sisters Kate and Laura Mulleavy, is a relative newcomer to the fashion scene, prized for its artsy approach. 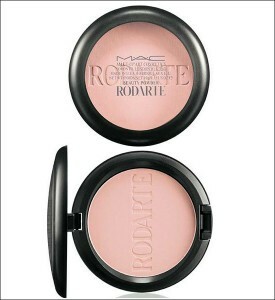 MAC and Rodarte sent out press releases for the Fall collection to the fashion and makeup media, including bloggers, in mid-summer. The reaction from beauty bloggers was immediately negative and visceral. MAC and Rodarte appeared to be exploiting, romanticizing – or, perhaps even worse, to be ignorant of – the decades of unsolved killings of hundreds of women and girls in Juarez, many of whom had migrated to the city to work in the factories for minimal wages. [B]eauty bloggers who were given advance press kits and samples for the fashion line lashed out at MAC/Rodarte for romanticizing the lives of women fraught with violence and poverty. Jessica Wakeman of The Frisky called the collection "tasteless" and asked, "What's next, a lipstick called Bergen-Belsen?" Newly politicized, beauty and fashion writers began calling for the two companies to donate the entirety of their profits from the collection to women and girls in Juarez. to turn over its global profits from the sale of the MAC/Rodarte collection to a new initiative that will provide grants to local and international organizations that raise awareness and provide resources for women and girls in Juarez. But that is not the end of the story. The bloggers’ efforts to raise the companies’ social awareness around the plight of women and girls in Juárez ended in the companies pulling the makeup collection. The companies still pledged to donate all of the projected global profits from the sale of the collection to benefit women and girls in Juárez. The lessons from this debacle? ► For MAC and Rodarte: that some “due diligence” about the social realities surrounding the inspiration for their collections should be done prior to releasing them, and that social responsibility in one arena does not excuse lack of social awareness in another. ► For individual citizens: that we each have the power to effect change. For those involved in human rights work: that sometimes change and awareness about abuses can come from unexpected, everyday sources. It's great to see this story addressed on IntLawGrrls, and especially to get the ramp up about MAC having participated in the UN Conference-- a data point that makes their mistake even more ignoble. "MAC’s Apology for Juarez Makeup Line: Effective and Authentic"